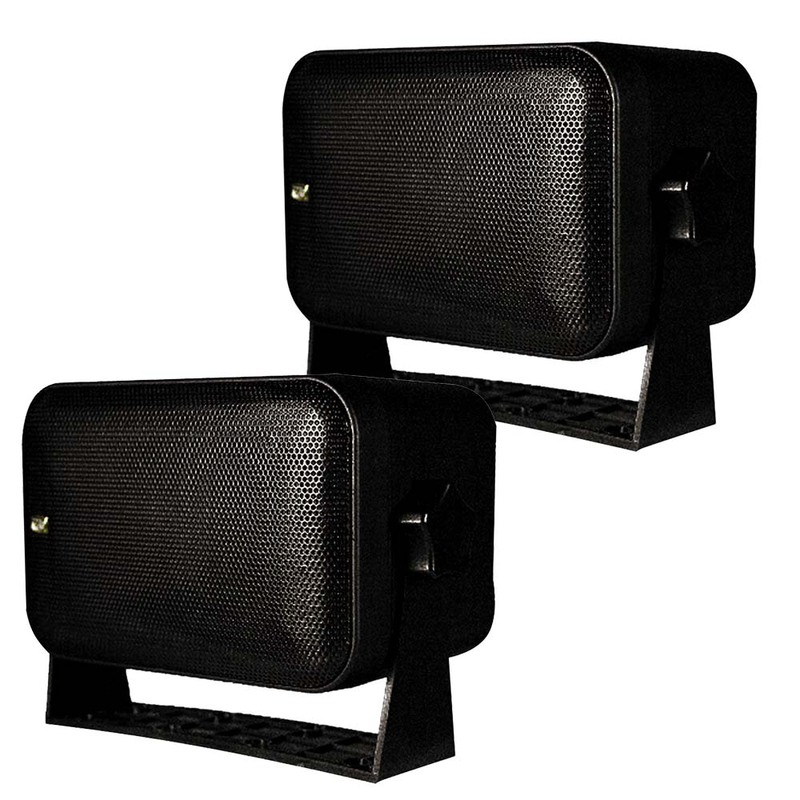 Full size box speakers with a two-way vented post design offer full range response. The low magnetic field design lets you mount them anywhere. Polycarbonate gimbal mounting brackets are included. The 5.25" polypropylene main cones provide maximum power of 100 watts per speaker.